Are you interested in teaching your kids the ABCs and 123s? Or maybe I should be asking – is your child showing an interest in learning letters, numbers or shapes? Then you might be interested in our latest collaborative ebook which is all about making literacy and numeracy fun for kids! 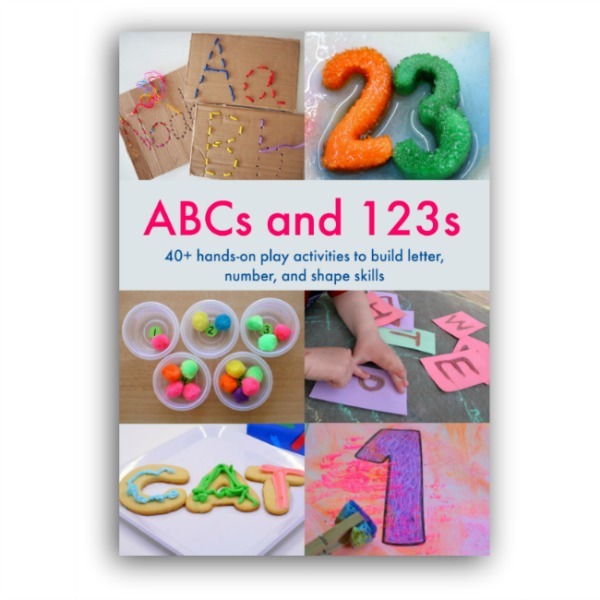 The ABCs and 123s ebook is a collection of fun, hands-on, play-based ideas that will help your child explore and build on their letter and math skills. It’s a collaborative effort (headed up by the fabulous Cathy James, of NurtureStore) with activity ideas from over 40 like-minded bloggers, who all believe that kids learn best through play. Continue reading Is your child interested in letters, numbers or shapes?